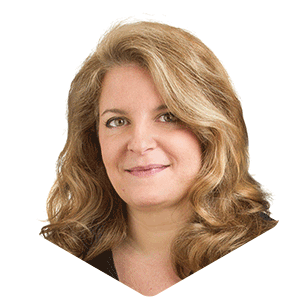 Nora El Goulli, brings nearly 30 years of broad-based experience working with senior management and boards, advising on Strategy, Business Development, Partner searches and International market access. Nora started her career at Pasteur Vaccins, where she launched the world’s first hepatitis B vaccine in over 80 countries. She then moved on to Worldwide Business Development in pharmaceuticals at Sanofi and SmithKline Beecham, and eventually into consulting, with Deloitte Consulting, The Wilkerson Group and Team Strategy. She has a Doctorate of Pharmacy and MBA, Finance major. Nora has done a multitude of commercial opportunity assessments and cash flow projections across all therapeutic areas. She has also trained on the management of drug supply in emerging markets, and recently advised a company on its Access To Medicines strategy for Brazil. She is fluent in English and French, and can survive in Spanish. Her clients appreciate her thoroughness, the depth and breadth of understanding she has of the industry, and her willingness to raise challenging questions when needed. A passion for improving access to medicine in emerging markets has led her to set up healthcare charities in Honduras and post-revolution Tunisia, and she enjoys rolling up her sleeves and working in the field, getting to know local people and cultures.